Various studies have been conducted in high-gradient magnetic separation (HGMS) technology over the past few years. The major advantages of this technology are obvious when processing highly complex feedstocks, such as blood. 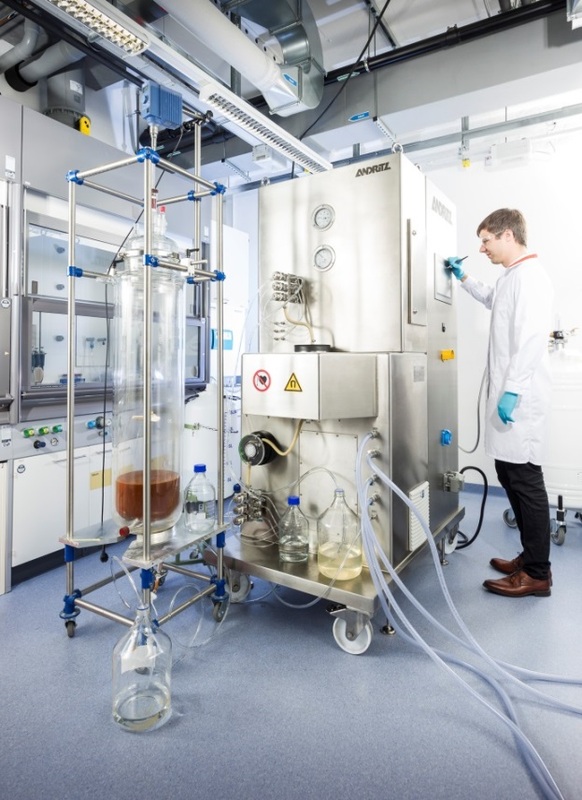 The current state-of-the-art technology for protein fractionation is liquid chromatography, which needs several time-consuming and costly upstream purification steps to be able to process the feedstock. In contrast, HGMS allows the extraction of one protein fraction directly from the non-purified complex feedstock. With HGMS technology, the efforts of downstream processing can be decreased drastically, while the yield is increased. The principle of the technology is to bind a specific protein fraction to magnetic beads with a highly selective functionalized surface. By using a magnetic field, it is possible to extract the magnetic beads and also the specific fraction from a non-purified feedstock together with these beads in a single unit operation. Application fields for this technology are slurries involving high downstream effort, extremely low titer, and highly valuable components like hormones, antibodies, enzymes, or simply the functionalized particles themselves. Therefore the units can be applied both for research and for GMP production. ANDRITZ AUTOMATION is a leading supplier of machines and plant control systems with 65 sites worldwide. What's your biggest separation challenge?